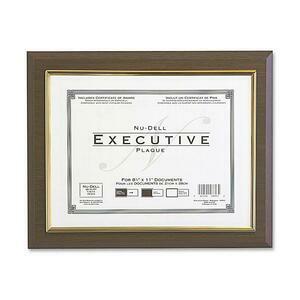 Executive Award Plaque features a sliding cover so you can easily insert a prestigious letter-size certificate. Keyholes on back allow you to hang the plaque horizontally or vertically. Design offers gold trim and smooth beveled edges. Plaque holds certificates 11" x 8-1/2" or smaller and includes one blank certificate.